KBS Commerce and NATARAJ Professional Sciences College rigorously organizes various seminars and workshops for students to enhance their practical and academic aptitudes. The institute invites professionals and academicians from various walks of life to share their experiences and to deliver the sessions on a practical subject with the practical activities. 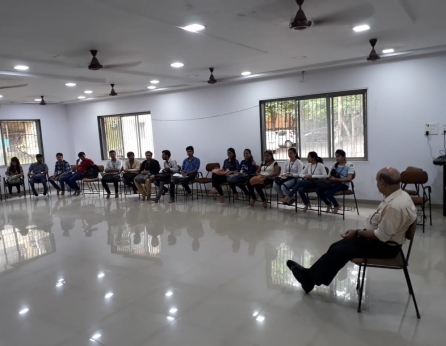 Leadership Camp: (Two Days Workshop) M. R. Pai Foundation, Forum of Free Enterprise, Mumbai. HR-Analytics:(Two Days Workshop) Makeintern, IIM Business Plan, invited faculty from IIM Ranchi. Start-Up:(One Day Seminar) How to be Entrepreneur (Start a new business) Govt. of India. Interview Training:(Two Days Workshop) Invited various experts from industries and professionals. Bombay Natural Historical Society:(One Day Seminar) particularly for science student the information was disseminated on various species of animals. 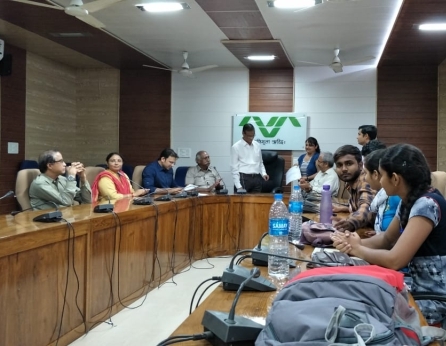 Zoology and Botany : (Six Days Workshop held at Navsari Agricultural University) students were acquainted with the practical knowledge of Zoology and Botany.